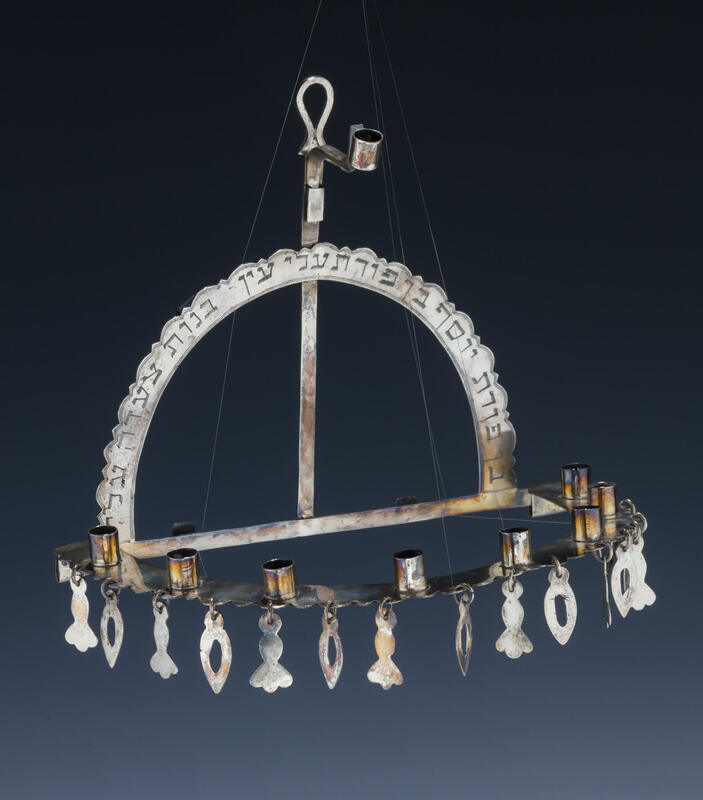 AN IMPORTANT SILVER HANUKKAH LAMP. India or Iraq, c. 1890. In semi-circle design. Fitted with hanging decorative plaques. Backplate engraved with Scriptural excerpt related to Joseph being a beautiful son. 9.2” wide.